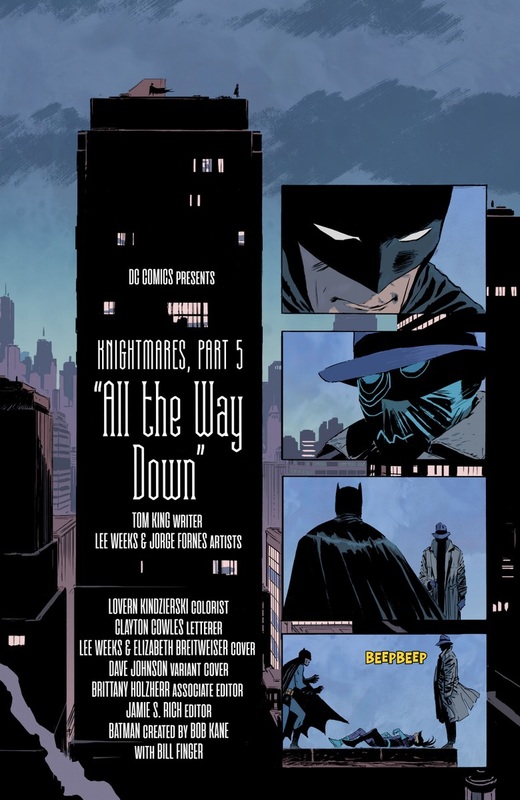 scans_daily | Batman #67 (2019) - "Knightmares, Part 5: All the Way Down"
I was expecting a lot more turtles. 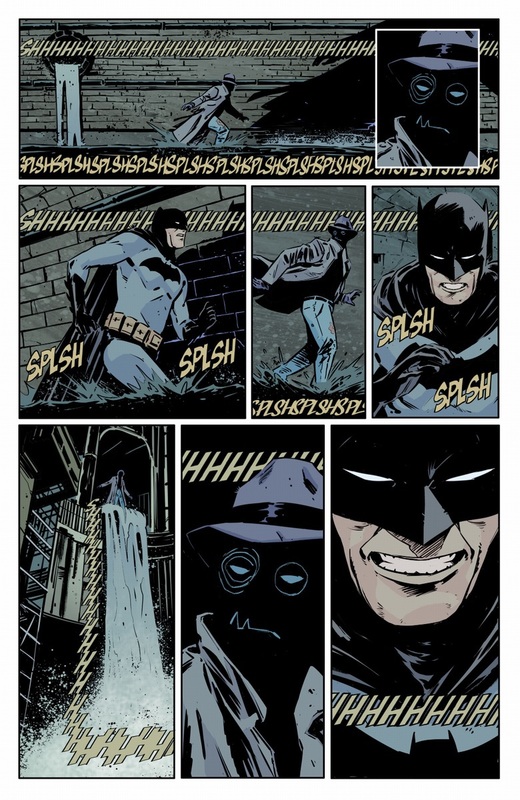 Is the Joker dresses as a new version of Onomatopoeia? 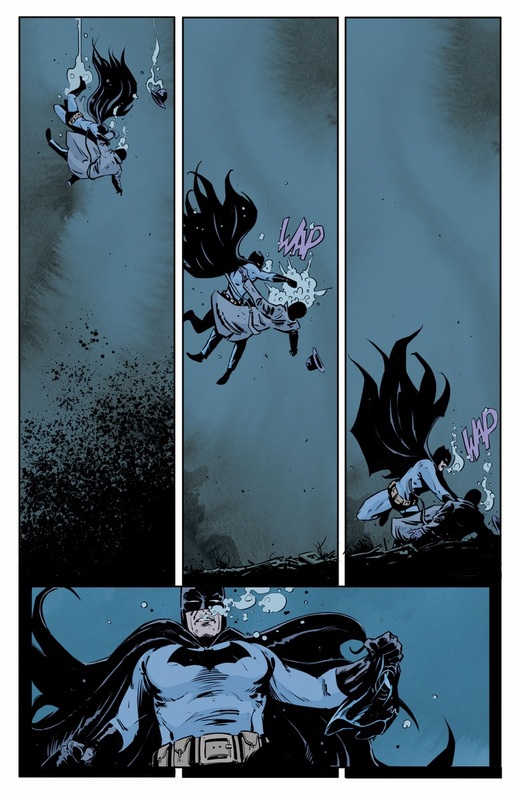 I think it's a look that's meant to be reminiscent of Onomatopoeia, so that the reader will suspect that's who it is -- it's a character that would suit the heavy SFX nature of the story, after all -- thus making the final reveal more surprising. I think you're right. 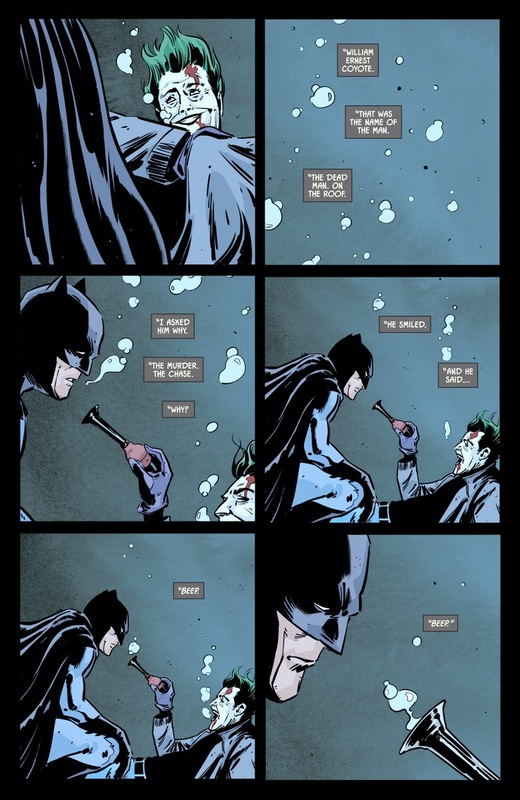 Part of me also hoped this was the Joker changing aspects the Onomatopoeia so he'd be more like Marvel's Ronin, an anonymous mantle that different villains can pick up to complete their aims. I didn't even get it at first. Googled "William Earnest Coyote" and then just kind of sat there looking at the screen with the Camron face on for a while. "Beep beep, Richie," said another famous clown.
" William Ernest Coyote " has a costume on. 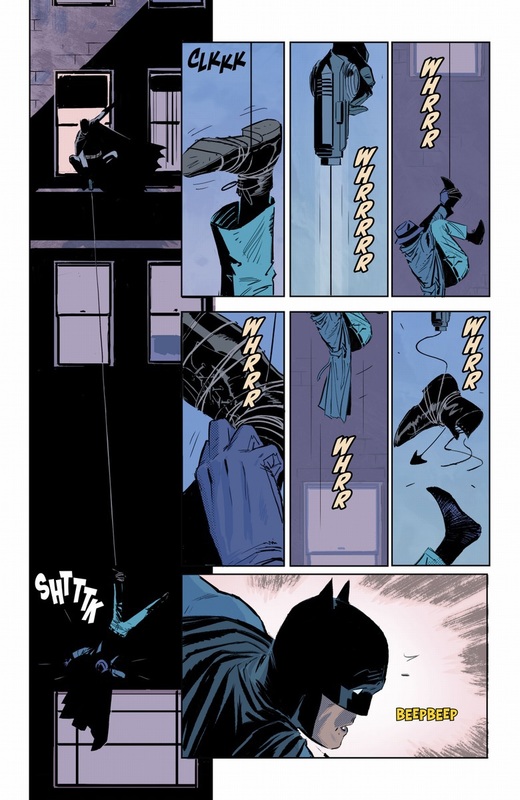 Bruce's psyche implicitly translated Wile E. Coyote into Gotham. 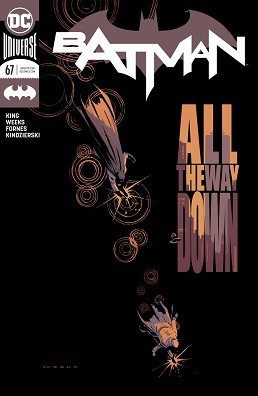 Did I hear correctly that King's added several more issues after this before the book is going to get back to the main plot? Because that seems less than ideal. 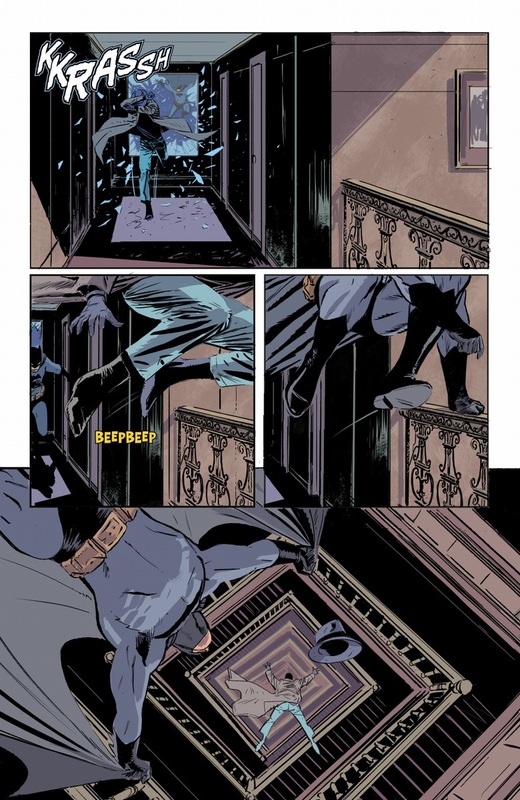 It's a look into one of Batman's greatest fears. 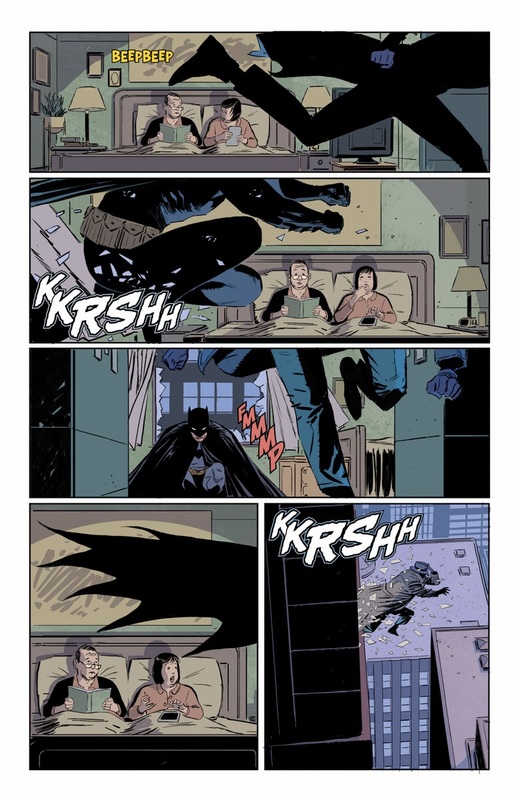 I won't lie, for once Tom King is being kinda brilliant here. And also it's refreshingly classic Joker, the murder is the setup rather than a punchline. I was wondering why King said it was a stealth sequel to the Elmer Fudd crossover, and then I figured out who the victim is a reference to and suddenly the beeps made so much more sense. Goddamn it, Joker.